The art of conducting business takes on a new dimension with our refurbished Hong Kong meeting facilities, complemented with the latest high-tech facilities including wireless high speed Internet access. Leave our professional staff to take care of details so you only need to focus on getting down to business. Our location in the heart of Tsim Sha Tsui – 5 minutes’ walk to the MTR and only 10 minutes’ drive to the Kowloon Airport Express – allows you to get to Park Hotel Hong Kong conveniently and easily. We can tailor the function and meeting rooms for intimate sit-down dinners or small business meetings for up to 75 people. In order to provide the most intimate experience to our business guests, the hotel has newly launched various palatable thematic coffee breaks including classical refreshments, Low Carbon Sets, Hong Kong-style street snacks and beautifully-presented colour-themed tea breaks, all are well-prepared and determined to recharge your body during meetings or events. For a wedding that is intimate and romantic, Park Hotel Hong Kong has just the right venue for your most joyous occasion. Celebrate your nuptial bliss, in the company of your closest family and friends, in our cosy function rooms. Choose from creative Western-style buffet menus or exquisite full-course Cantonese cuisine, served in a comfortable ambience for you and your guests to mingle. Dedicated to taking care of every fine detail, our team of professionals will work with you to create a truly memorable experience. To embark on your own Celebration of Love, please contact us at (852) 2731 2110 or email us. A spectacular setting and unrivalled level of professionalism for every special occasion. 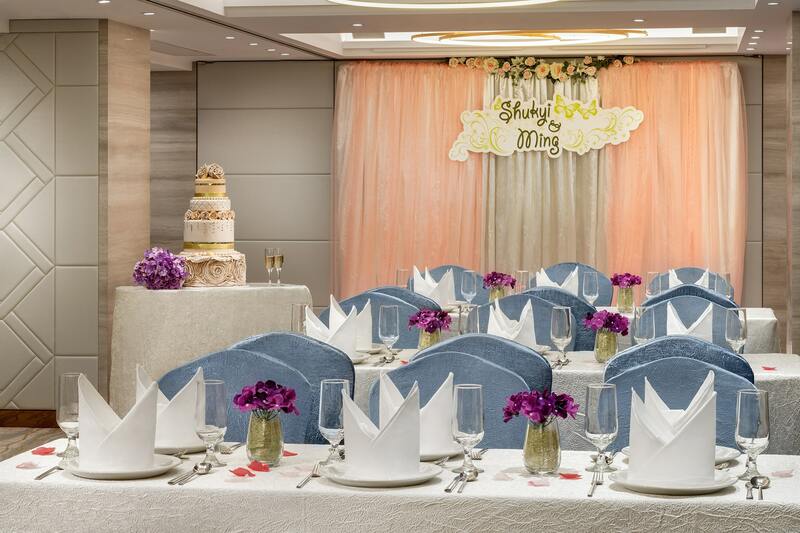 Park Hotel Hong Kong, located in the heart of lively Tsim Sha Tsui, offers intimate venues that will put you and your special occasion in the limelight. For events that require more flexibility and creative flair, opt for one of our function rooms which can accommodate small to mid-sized groups. Located next to the all-day dining restaurant, the venue offers extendable spaces and convenient access to the exquisite buffet line. Whether it is to celebrate a birthday, an anniversary or a baby shower, we will work with you to make it a day to remember.